The hunt is on to find the UK’s best automotive glazing technician. Following a series of regional heats, six finalists will compete for the title of UK Master Fitter 2012 at the national Skills Show taking place at the NEC, Birmingham, in November. Now in its third year, UK Master Fitter is part of WorldSkills UK, which runs a portfolio of national and international skills competitions for young people and adults, designed to showcase talent in vocational skills across many different industries. WorldSkills UK is managed by the National Apprenticeship Service, in partnership with organisations from industry and education. 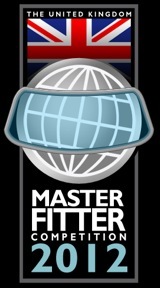 UK Master Fitter is open to all experienced installers of automotive glass and participation is free of charge. This year, some forty technicians will compete at seven regional finals in England, Northern Ireland and Scotland with the top six overall scores going forward to the final. Competitors will be required to repair and replace a windscreen and replace a side and rear window, within a specified timeframe, under the watchful eye of the UK Master Fitter judging team. Co-ordinated by official partner, the Independent Windscreen Academy (IWA), which is providing administration and training assistance, UK Master Fitter is being organised by a consortium of industry partners. These include: AA Autowindshields, Auto Windscreens, Dow, Esprit Windscreen Systems, GQA Qualifications, Laddaw, Master Auto Glass, Nationwide Windscreen Services, National Windscreens, Institute of the Motor Industry (IMI), Sika and Proskills. The competition is being sponsored by AGC, Dow, Sika and Kimberly-Clark Professional, the latter a market leader in commercial health, hygiene and safety products. Automotive glazing is a technology all of its own and technicians are required to have extremely complex skill sets. UK Master Fitter aims to be a champion for recognising their talent and highlighting the sector as an important industry to the economy. Being part of WorldSkills UK will showcase automotive glazing to a wider audience and help our campaign to attract young people into the industry as apprentices.